Kaiser Souzai – you might have heard that name before in a different context: In fact this is one of the most powerful men in the movie classic “The Usual Suspects”. Markus Kaiser and Alex Souzai are neither gangsters nor mafiosi, but their name does carry similar weight around Germany’s electronic club scene. With an impressive string of releases and several number 1 chart hits at the most important download stores, such as Beatport among others, they have put themselves in the spotlight of the international dance scene already ages ago. Their white label “Flesh” was a slow-burning hit and forthcoming single for Rotor Records “Girl”, which samples a very famous song from ‘Pulp Fiction’, was destined to put them on the map in the rest of Europe and beyond. The release was positioned as #1 on the worlds leading download portal Beatport and was one of the summers big club tunes. 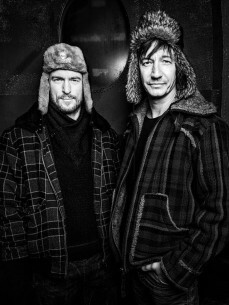 With a string of releases and Beatport bestselling faves on Yellow Tail Rec like „Altomcumulus Floccus“, „Stratocumulus“ or „Cirrus“, Kaiser Souzai cemented their reputation as leading producers in their genre.